Flipped Learning has become one of the hottest trends in education over the past few years, with no signs of slowing down soon. 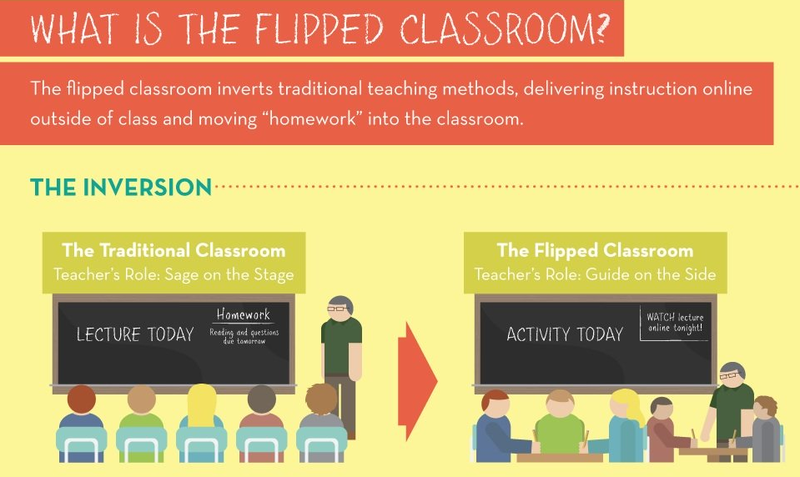 A key element of Flipped Learning is creating a flexible classroom environment in which students are able to learn in a way that’s best for them. But how do educators create such an environment? As with anything, there are many approaches to flipped learning, and educators must decide the right approach for their classroom and students’ learning styles. Students are assigned the “homework” of watching video lectures and reading relevant materials to the next day’s class. During class students practice what they’ve learned through traditional schoolwork, with their teachers freed up for support. Students watch videos in class, work on assignments, and review materials at their own pace, while the teacher moves from student to student to offer individual support. This model was designed to account for students who are not fortunate enough to own a computer at home. Teachers assign lecture videos (and other relevant resources) for students to do at home, and class time is devoted to discussion and exploration of the subject. Good for history, art, or English. The teacher uses screen recording software to demonstrate an activity in a way that allows students to follow along at their own pace. Typically useful for subjects that require students to remember and repeat activities exactly, like chemistry or math. Students watch videos or engage with other resources prior to class, and then they team up and work on the assignments together during class time. This format encourages students to learn from one another and helps them better explain their answers. Students are allowed to take the lead on finding relevant resources and pursue learning their own way. The teachers focus should be on helping students with the process of discovering how to learn better on their own, rather than teaching about the subjects directly. By understanding teachers’ goals, motivations, and the different ways in which they try to flip their classes, you can quickly establish yourself as a knowledgeable and trusted partner when it comes to recommending the right types of equipment and technology needed to support your customers’ education goals.